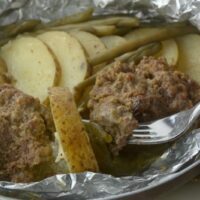 Hobo meals are great for when you are camping on an open fire, but did you know you can create that same style of a foil packet meal in your oven or the Instant Pot? Today I wanted to share these Quick Instant Pot Hobo Meals that the entire family will love. A seasoned ground beef patty, comforting and hearty veggies and potatoes, topped with seasonings that make this an all-in-one dish that is perfect any day of the week. 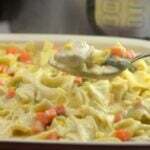 Best of all, this quick hobo meal is versatile, so even the pickiest eaters will love it. The first time I had a hobo meal was camping when I was young. I watched my dad toss in potatoes, a handful of vegetables and a hamburger patty, with a dollop of butter and spices, and wrapped tightly in aluminum foil. Then he tossed it over the fire and let it cook away. I was amazed when he pulled open the foil a complete meal was waiting in perfect single serve sizes. We pretty much ate them only when we went camping. 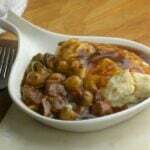 So when I got older and began cooking, I craved that comforting hobo meal my dad used to make. So I pulled out my Instant Pot and started placing veggies and a hamburger patty in foil and create a quick and easy dinner. 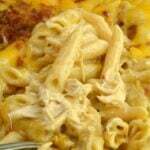 My husband loved it, and we served it up with a dinner roll and side salad, and life was good that night. The Instant Pot saves you from dealing with a fire like when you are roughing it in the woods. It is a super quick meal that will fill you up. Now if you have picky eaters let me help you out. 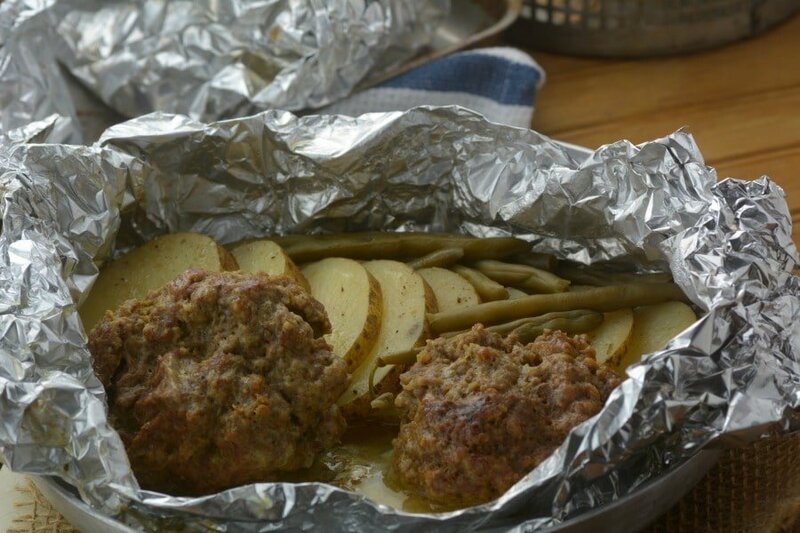 These foil packet meals are a breeze to make, and best of all create a foil packet to fit everyone’s taste buds. Or maybe you have a garden that is producing an abundance of produce you want to get used up; I have run into that as well. 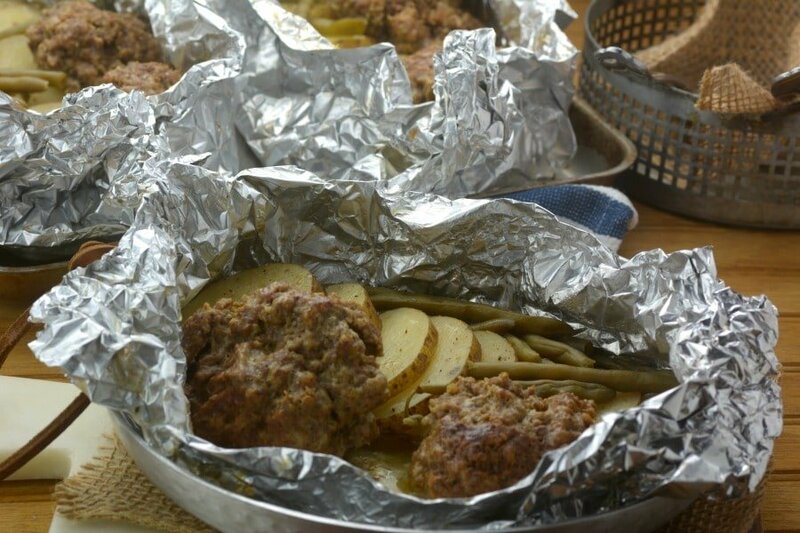 These hobo foil packets are a perfect way to use up your veggies. As you can see you can truly customize this to fit with the foods you have on hand or what you like. I love potatoes and green beans, but those are two of my favorite vegetables. Sometimes I go the pepper and onion route, that is my husband’s favorites. No matter what you toss in, they turned out flavorful and cooked to tender perfection! Easy Instant Pot Hobo Meals that the entire family will love. A seasoned ground beef patty, comforting and hearty veggies and potatoes, topped with seasonings that make this an all-in-one dish that is perfect any day of the week. Mix together ground beef, egg, seasons, Parm cheese, and breadcrumbs. Open a large piece of foil. Slice thick slices of potatoes. 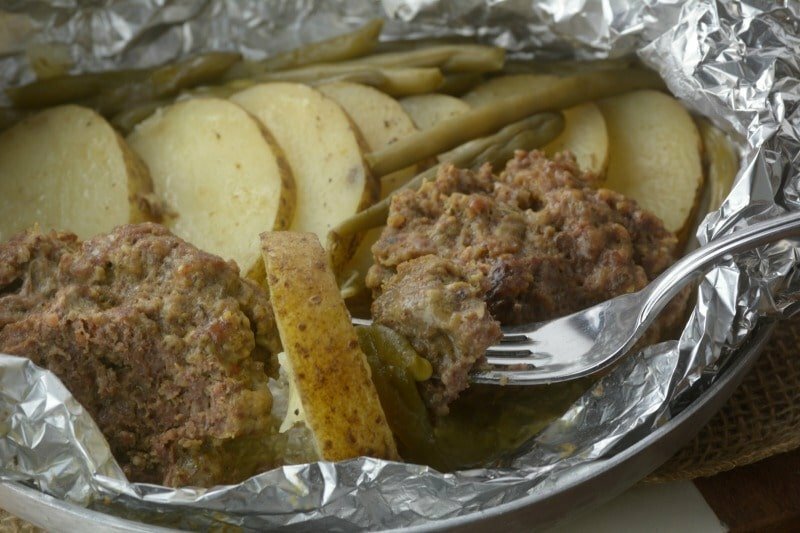 In each foil place potatoes, a Pattie, and green beans. Place one cup of water in the bottom of your pot. Cook on manual high pressure for 35 minutes. Next Post → Keeping A Spotless House, Even When You Work Long Hours… It Can Be Done! Could these be frozen either before or after cooking? I am cooking for one and would love to eat 1 and freeze 3. I was also wondering if these could be made up, wrapped and frozen to cook later. How would the time differ? Do you just stack the packages one on top of the other?? Do you add a tbsp of butter to each packet? I see it calls for butter but not listed in directions. Butter is in the ingredient list but not in the instructions….I’m assuming 1 Tbsp butter in each packet? Would it be possible for you to include email as a way to share? Thank you! Is 35 minutes right? That seems like a crazy long time in an IP. This looks so good! I need to try it!! I love that this has made IP so much easier for me. I’m guessing the butter goes on top of everything, it didn’t say. Also I had to use two pots because 4 foil packs would not fit in my 6qt. Can’t wait to try! 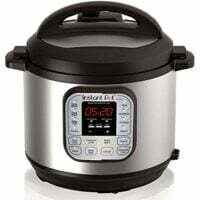 Hi, I lve your recipes to the Instant Pot, I have one, and sometimes when I fix something especially meat, they just don’t come out the way the cook books says, I made a roast and I did the cooking time just as it said, and the meat would not pull apart like the book said, instead of pulled beef , mine was take a knife and slice it!!!! help please and keep posting. You just gave me a great idea! These would be such a great thing to make ahead of time before camping. Then all you have to do is take them out and put them over the campfire or on a grill to heat them up. Less mess in the kitchen well camping.